The Guru Gobind Singh Indraprastha University (GGSIPU) will decide the syllabus of IPU Common Entrance Test. IPU CET is conducted by the GGSIPU for candidates aspiring to seek admission to the BBA program in the IP University. 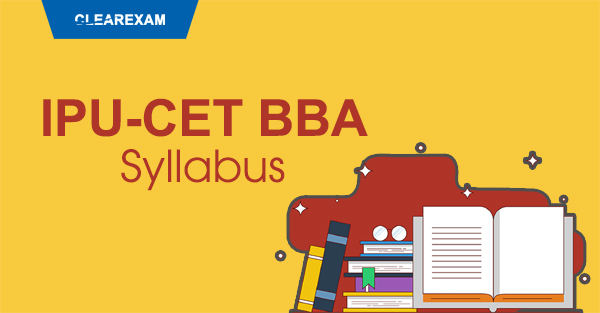 The syllabus of IPU CET BBA is very important as it contains all the information about the subjects, topics and sub topics in each section of the IPU CET BBA Syllabus. It is very important for the aspirants of IPU CET BBA to go through the entire syllabus as it will help them to understand the exam pattern and the type of questions which might be coming in the entrance examination. The IP University conducts the IPU CET for students aspiring to seek admission to BBA program in the university. Keep reading the article to get the complete syllabus of IPU CET BBA. It is very important for students to get a complete idea about the entire syllabus of IPU CET BBA as it will definitely help the students to devise a proper strategy to prepare for the entrance test. The exam consists of four sections namely Arithmetic, Logical Reasoning and Analytical Ability, Business and General Awareness and English Language and Comprehension. The subject wise syllabus of IPU CET BBA is provided in the table given below. Number Theory, Fractions and Decimals, Square Roots, HCF and LCM, Ratio and Proportion, Average, Percentages, Profit and Loss, Compound and Simple Interest, Surds and Indices, Volume, DI, Discount, Percentage, Partnership, Mensuration,, Data Sufficiency, Simplification, Approximation Commercial Math etc. Analogy, Numbers, Direction, Alphabet, Ranking, Venn Diagram, Alpha Numeric Symbol Sequence, Mathematical Operations, Series Test, Coding and Decoding, Statements and Assumptions, Statements and Arguments, Statement and Conclusion, Data Arrangement, Data Sufficiency, Logical Word Sequence, Cubes and Cubical Dice, Insert Missing sequence etc. General knowledge, Geography, Sports and awards, Current affairs, Economics, General Science, Computer Science, Polity, Business and trade awareness etc. Vocabulary, Analogies, Synonyms and Antonyms, Idioms and Phrases, Spotting errors, One-word substitution, Spelling mistakes, English comprehension, Inappropriate usage of words, etc. The examination conducting body i.e. the IP University has given equal weightage to all the sections i.e. 25% to each section. The university has the right to change or modify the syllabus. Candidates are advised to go through the entire syllabus of IPU CET BBA and based on that plan their studies accordingly. Make a time table based on the subjects and topics coming in the entrance examination and follow the same strictly. Stay motivated and don’t skip your studies.